The modern era is the age of science and technology. Now it is possible to start a business with little money. Even if you don’t have any amount of money, you can take a start on launching a business. Yes, it is possible. There are many business opportunities that you can avail. Today’s technology offers you to earn money from many sources which may include network marketing, affiliate marketing, blogging, freelancing or any other consultancy work. After significant research and thorough analysis, we have gathered several businesses that you can start with a little or no money. Everyone knows Network Marketing in today’s technology age. It involves a group of persons who sell products of the company they are working for. The applicants are working on a commission basis, so in return, they get commissions and bonuses. These participants may have to do the following tasks. They have to sell or promote a product. They have to learn and support their recruits to sell or promote a product. In other words, this team of non-salaries participants gets their commissions or bonuses when they or a person, they work with, sell a product with their referral. It is a marketing cycle where all of the consumers are the participant. This cycle constantly goes on with the rise of each referral. This is also a way to earn a royalty income, which is an unlimited, inheritable and continuously income. Network marketing organizations hire non-employed persons to sell their products directly. In other words, they do not use any channels of trade to market and sell their product. These non-salaries get their commission each time they sell any product. It is the network where non-employed persons get their commission only when they sell any product. It is the business where every consumer is an accountant. The more products they sell, the higher the commission they get. Most millionaires are making their money through network marketing. Affiliate marketing is the process of promoting a company’s goods and services and earning some revenue, which can be commission based. It is a great way to start a business with little money. Affiliate marketing takes four parties to work. These parties include the affiliate network, the affiliate website, the affiliate buyer and the affiliate advertiser. Affiliate is the person who owns a blog or got an audience through social media. Anyone can be an affiliate including you, me or someone else. It’s not quite difficult to make any blog. More info on how to start a blog can be found here. You have to add the details in the blog about products reviews, sold on the advertiser’s blog or website. This website also adds a link to the product website page. MonsterInsights, since it’s a great analytical plugin to get all of the statistics you need about your blog. 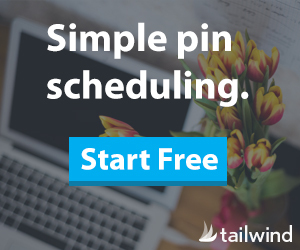 Tailwind, because I love to use this app myself for scheduling all of my Pins on Pinterest! Bluehost, for making it possible for everyone to start an online business for little money. You get a full webhosting and 24/7 support for only $3,95 per month. I love the opportunities they bring for everyone willing to make more income by starting a business for little money. The affiliate network sets a cookie into a visitor’s browser whenever they visit the advertiser’s website by clicking the link on the affiliate website. One of the affiliate networks I personally like is Share a Sale. They work with a lot of different companies so you’ll always find a company which fits your blog. Here you see a banner of Share a Sale, with who I like to work with. Affiliate Marketing: Tips to Earn a lot of Money! Ways to Create Passive Income! Freelancing is another source of (online) earning by working from home and therefor a prefect way to start a business with little money. Even if you are not in good at finances, you may earn with no investment at all. When you start working as a freelancer, you can work at any time suitable for you and make money. There are many online freelancing platforms where you can buy and sell online services. These services include web developing, web designing, graphics designing, logo making, Android and iOS developing, SEO optimization, data entry work, PHP developing, backend developing, front end developing, WordPress developing, and blockchain/solidity developing. There are two popular online freelancing platforms – Fiverr and Upwork. Fiverr is known as one of the world’s largest online marketplace to buy and sell services. You can browse your desired service out of the services offered by millions of freelancers. Any service provided by a freelancer is called a gig. You can start working on it by registering your account. Only a registered account can buy and sell services on Fiverr. You can find out any service by clicking on your desired service category. Or search it in the search engine offered by Fiverr. When you find the service, click on it to get some more information such as gig description, seller’s portfolio, and service packages. If you feel any difficulty regarding his service gig, you may contact the freelancer for further information. When you get satisfied, continue ordering the gig. This won’t cost you a lot, but is a great way to start a business with little money! Upwork is an online platform where you will find talented programmers, passionate writers, as well as creative graphics and logo designers. You can start by selling or buying any service. You need to fulfill Upwork’s requirement and tell them about your project and specific skills. Upwork will search and show the best results considering your project’s needs. The freelancers will help you by selling their services. On the other hand, if you want to earn money, start working as a freelancer on Upwork. You can begin by registering your account on Upwork and add a portfolio and samples that best describe your skills and talent. Select any skill or ability you possess and publish your account by completing your profile. Personally I love using Upwork to work with talented people who can help me out with projects I need help with. You can find all kind of freelancers from cheap to expensive, experienced and new to the branche, which can be very useful when you start a business with little money. Up till now I have never been disappointed by any of the Upwork freelancers and staff. There are several reasons an organization needs a consultant. They need consultants because of their time and expertise. They have in-depth information and expertise for dealing projects. You may become a self-employed consultant or find a job in an organization. Get ready to utilize your skills and talents. You can also get training from an institute and make yourself a certified consultant. Usually, many organizations hire accredited consultants. If you want to work part-time but are not in a healthy balance financially, you don’t need to worry. Start a business with little money and make revenue. In this article, we have discussed the best business ideas on little or no money. Follow our recommendations and make happy earnings with your business!